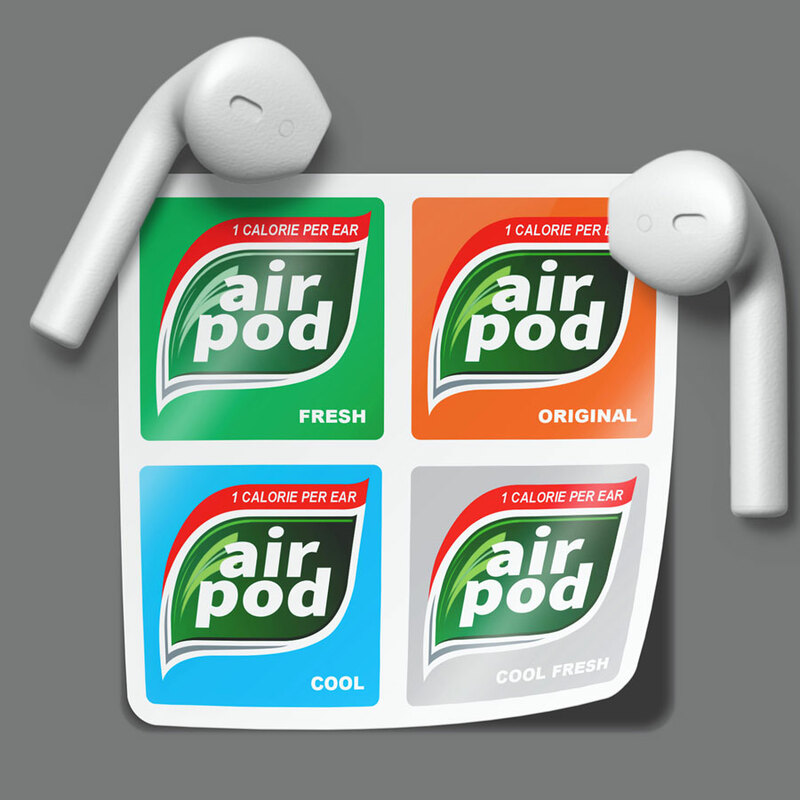 While opening an Apple AirPod case covered in parodied Tic Tac decals might create some initial disappointment for the mints' fanatics - sike! No Tic Tacs here! - after you get used to their absence you'll probably grow to appreciate creator LakQi's nifty idea and design. Especially when they make all your tunes sound really fresh. I appreciate LakQi's Tic Tac decals for AirPod earbud cases because it means more enterprising independent artists out there have found a way to make some money off Apple, as opposed to me, who just gives it all to them. 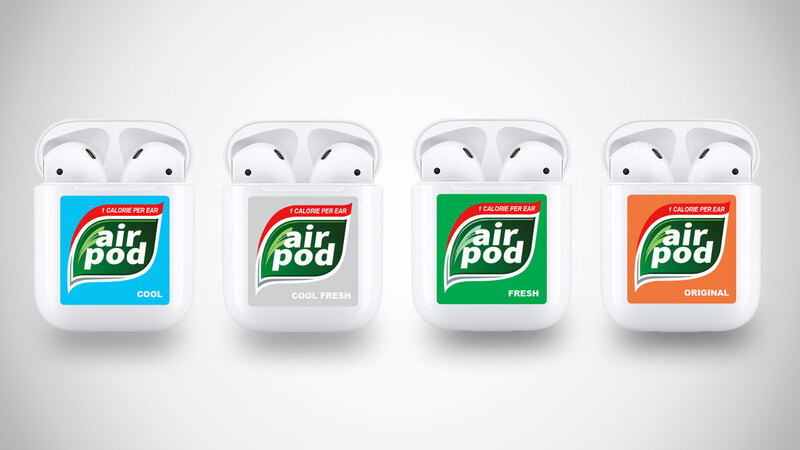 Adding some visual interest to the addictive sound of clicking an AirPod case open and shut, the die-cut Tic Tac decals look just like the mint brand's logo, but replace the stylized "tic tac" with "air pod." Stickers come in sheets of 4, with variations in background color to represent different Tic Tac flavors.